New Orleans is located at latitude 30° north, longitude 90° west. This is the most geographically accurate location of the finest food, music and round-the-clock good times on earth. 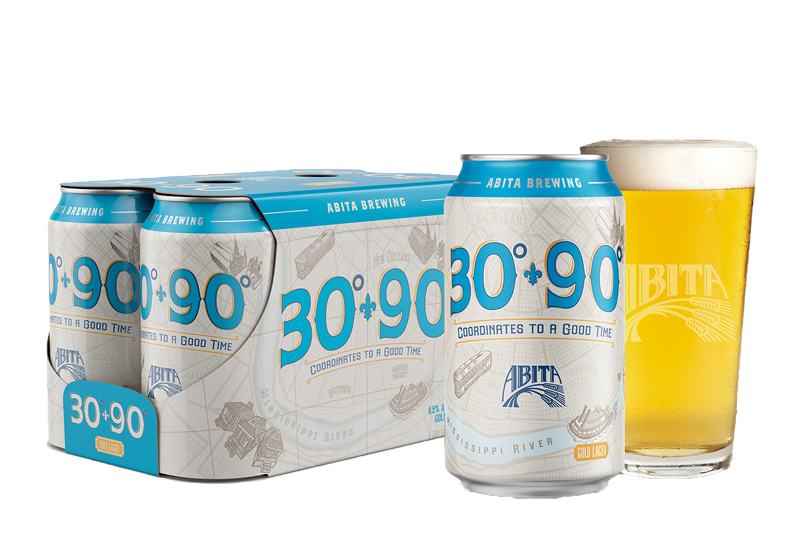 Abita created 30° 90° to celebrate the way we love to live in New Orleans. This is a crisp gold lager that is brewed with pilsner malt and hopped and dry hopped with Cascade hops. It has a light body and color with a nice citrus hop aroma and flavor.